Hi Butch, I am having a problem. I have downloaded your blind and this package inclding the ViStart package. 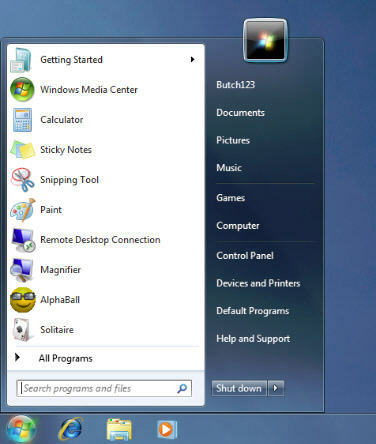 I followed your instructions and put the images in the Resources folder, however it still shows the black Vista menu instead of the Windows 7 blue one. Also, my taskbar doesn't enlarge like it should. Any suggestions?